Relocating? 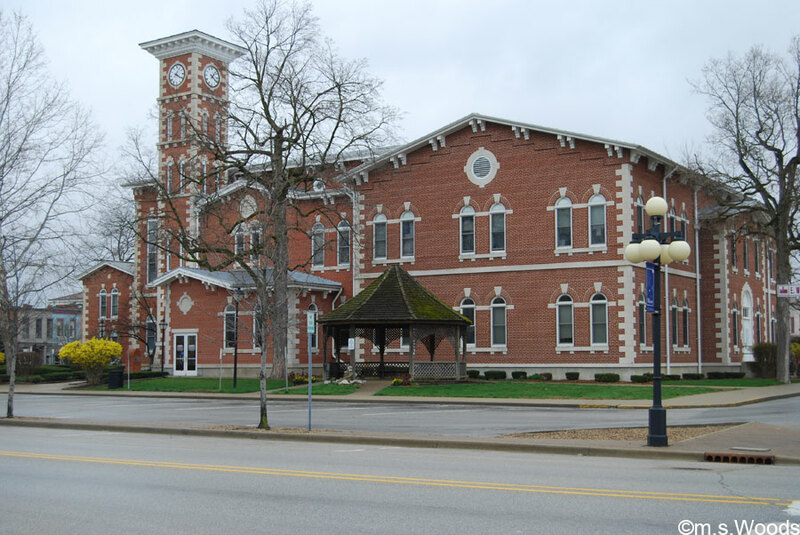 Learn about Martinsville Indiana. 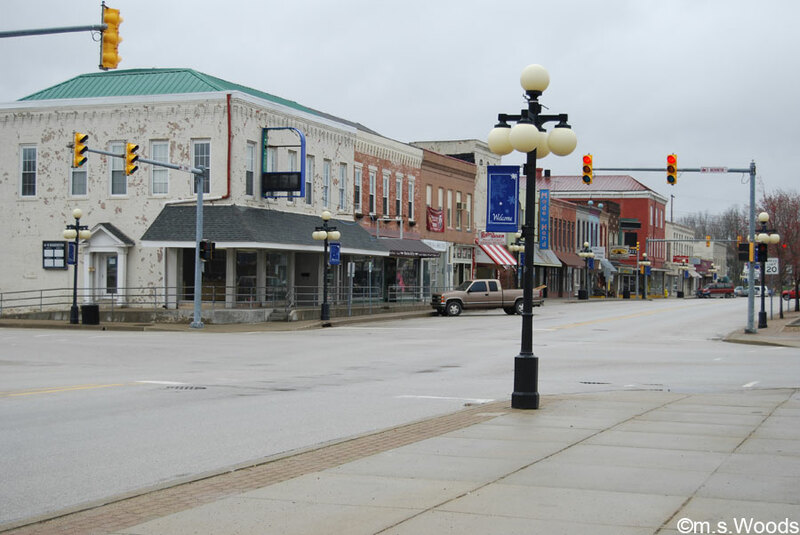 The county seat of Morgan County, Martinsville is a small, family-oriented community of roughly 12,000. 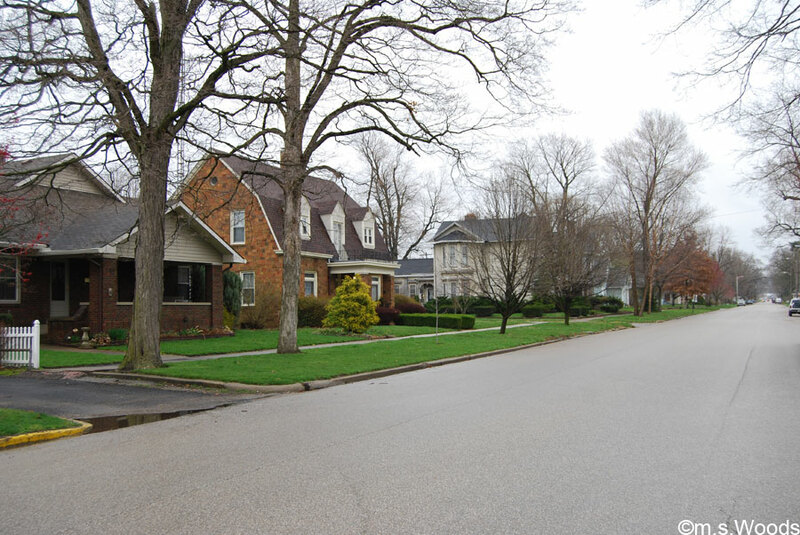 It has been called the “Gateway to Southern Indiana” in virtue of its central southern location and proximity to several major highways which connect to key destinations like Bloomington, Nashville, Indiana, and downtown Indianapolis. ‘Old town’ Martinsville is still very much alive, with its many mom-and-pop shops and historic architecture. The city has been very active in maintaining and revitalizing this historically significant part of the city. Pristine neighborhoods, like the one pictured above, are highly sought-after among home shoppers in Martinsville who long for an alternative to the “cookie cutter” neighborhoods filled with tract homes. With their well-maintained exteriors and immaculate lawns, the pride-of-ownership on streets like these is quite evident. Though Martinsville is small, there is no shortage of fun, family-oriented things to do. Here are just a few examples of fun and interesting attractions in Martinsville. 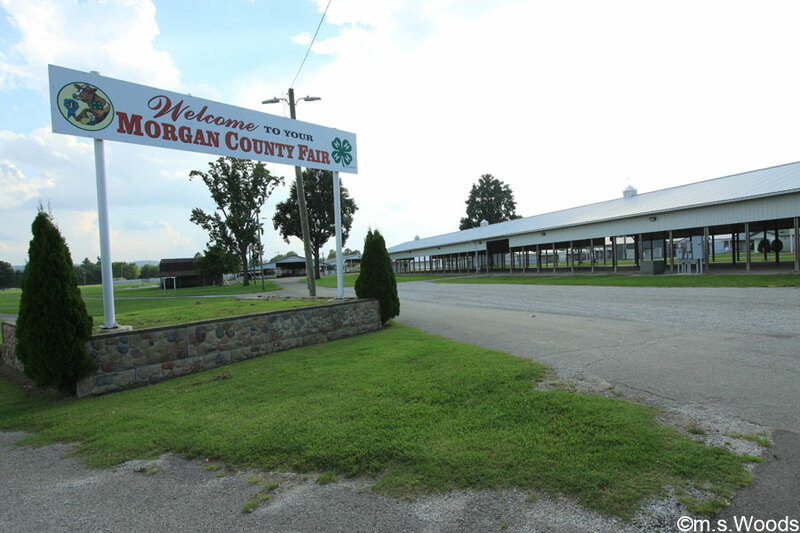 The Morgan County Fairgrounds are located at 1749 Hospital Dr in Martinsville. 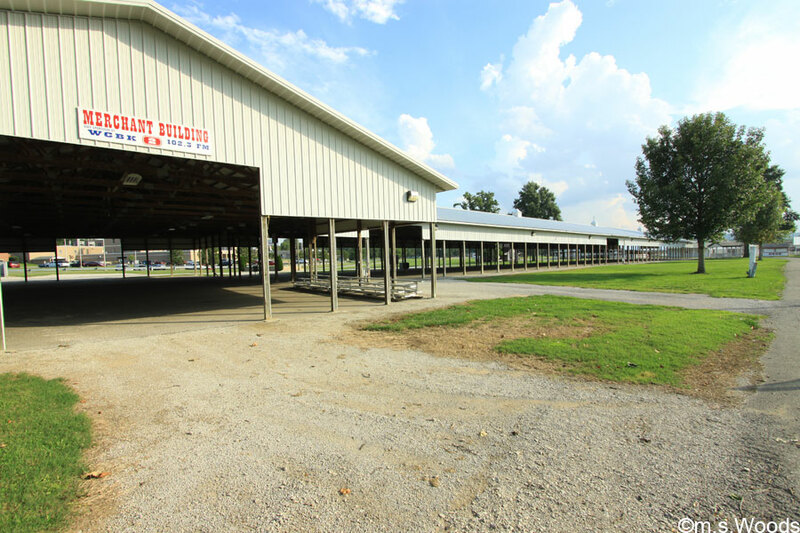 The facility is home to several fun events that take place at various times throughout the year, most notably the Morgan County Fair. The Merchant Building is one of several massive structures that are capable of housing events at various times of the year. 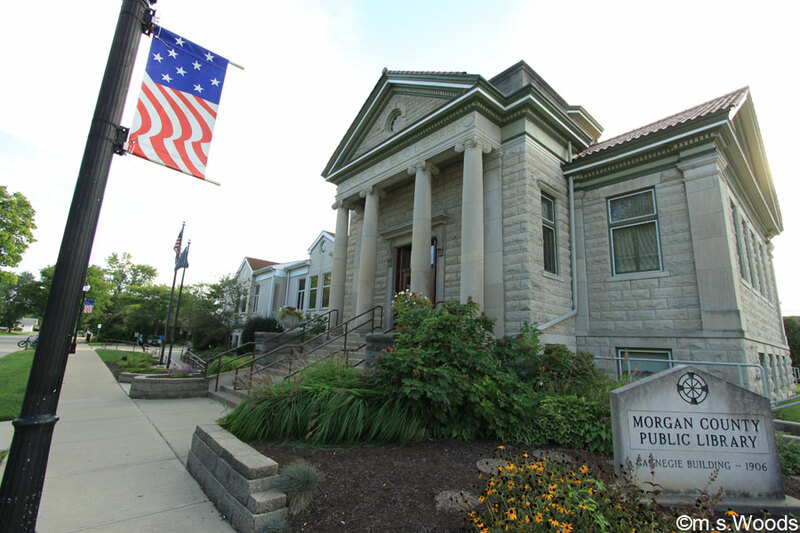 The Morgan County Public Library is located at 9410 State Road 144 in Martinsville. This historic building was built in 1906 on a $12,500 donation made by Andrew Carnegie. At the time, these funds were just enough to build a brick building. Later, however, city officials, raised the additional funds needed for the Bedford limestone structure you see today. The library opened in September 1908, with a collection of 1,500 books. 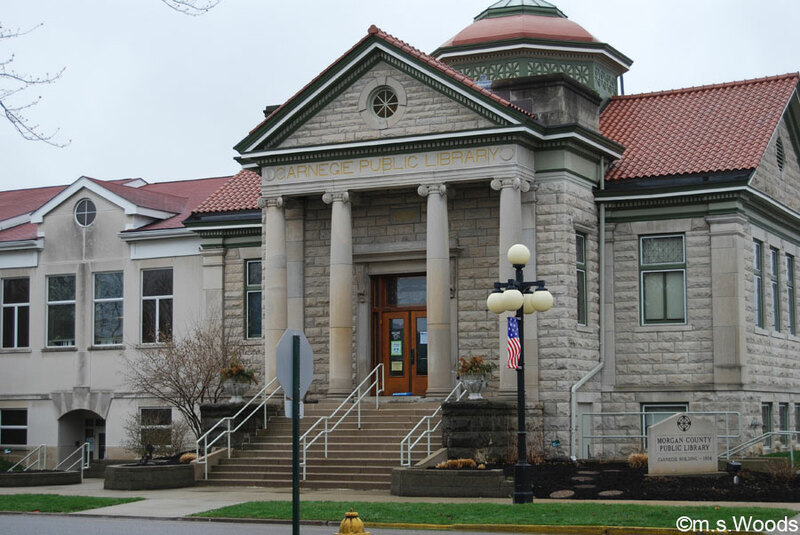 The Morgan County Public Library currently provides library services at the Main Library in Martinsville, and us a part of the Evergreen Indiana consortium, which allows patrons access to over 8 million items and over 100 libraries state-wide. The library offers dedicated areas for children, teens and adults. 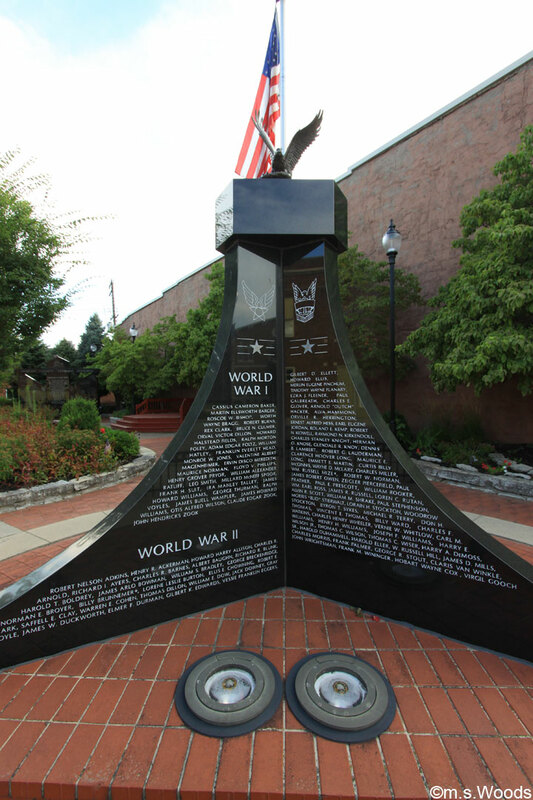 The Morgan County Veterans Memorial is located at 169 North 4th Street in Martinsville. 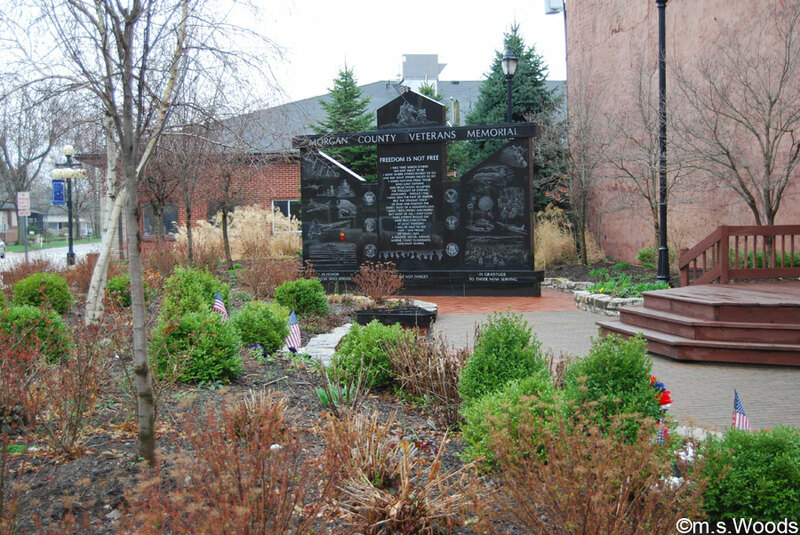 It was established in 2010 to honor American veterans. It was incorporated in Indiana, and employs a staff of approximately 3. Etched into the structure are the names of veterans from the 4 branches of service, who served in past wars. 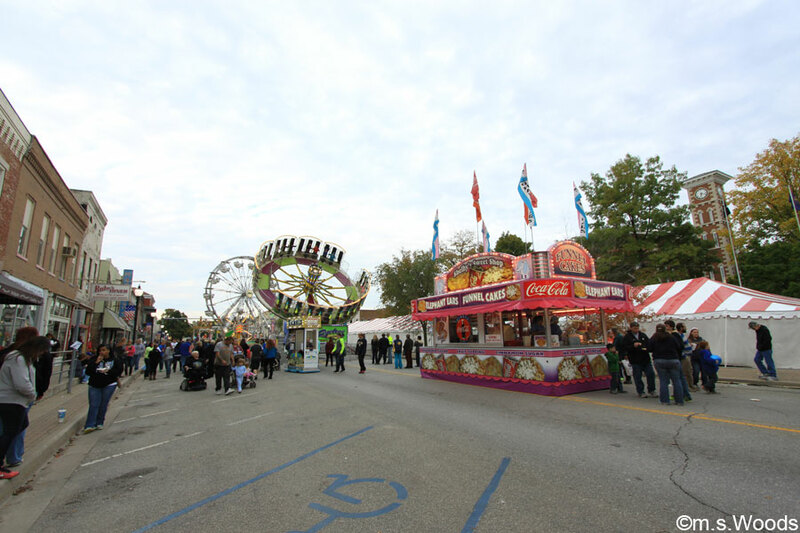 Martinsville is home to several fun events, which take place at various times of the year, including the Morgan County 4H Fair, Morgan County Antique Machinery Show, Morgan County Fall Foliage Festival and Summer Fest. Since 1860, the Morgan County Fair has has drawn visitors from all over central Indiana in August. 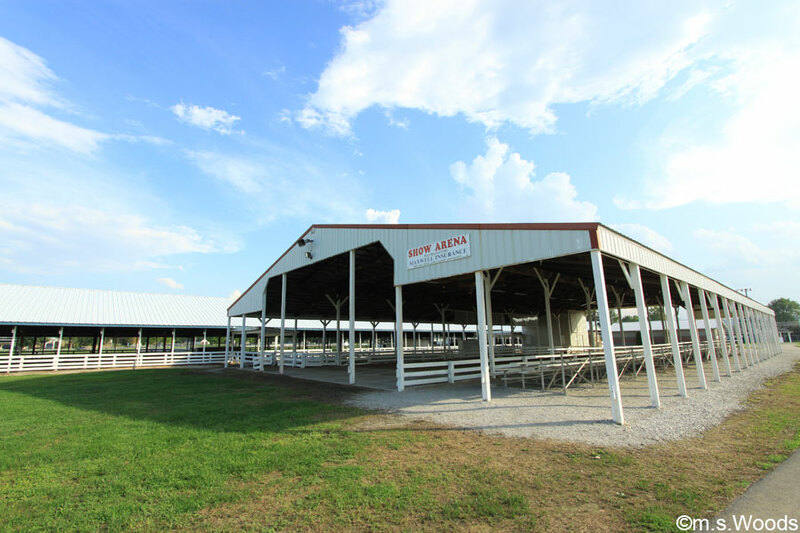 The fair features a number of quintessentially “farm” type events, such a rodeo and calf round-up, a midway and 4-H competitions. 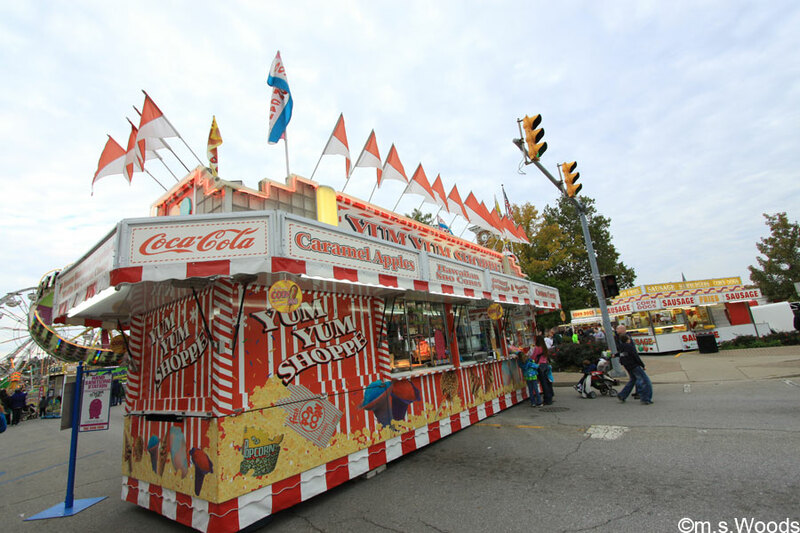 The fair seems to get bigger with each passing year, with more exhibits, and even live music. The Morgan County Fair Queen is chosen at the fair. The Morgan County Fall Foliage Festival is the longest running festival in Morgan County. This fun, annual event, the first of which took place in 1960, takes place in early October, on the historical Downtown Square. 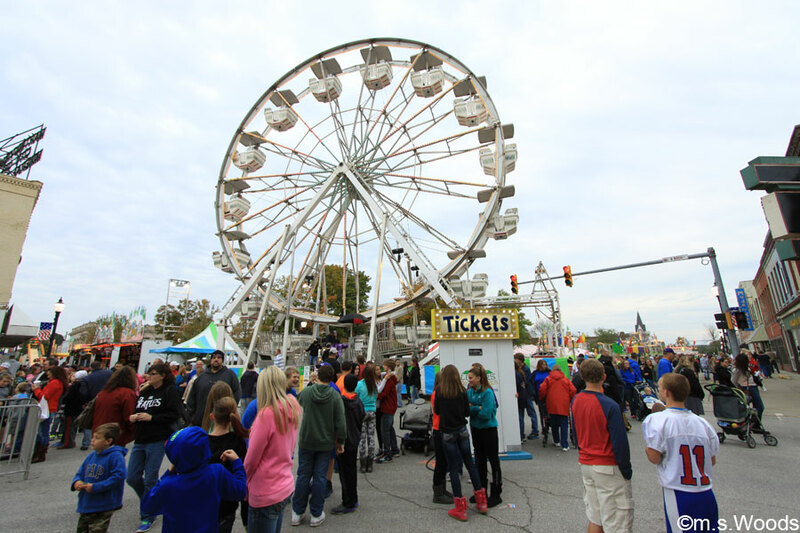 The festival includes several fun activities, including an art show, carnival rides, classic car show, children’s events, quilt show, poetry and photo contests. Photo of a food vendor. 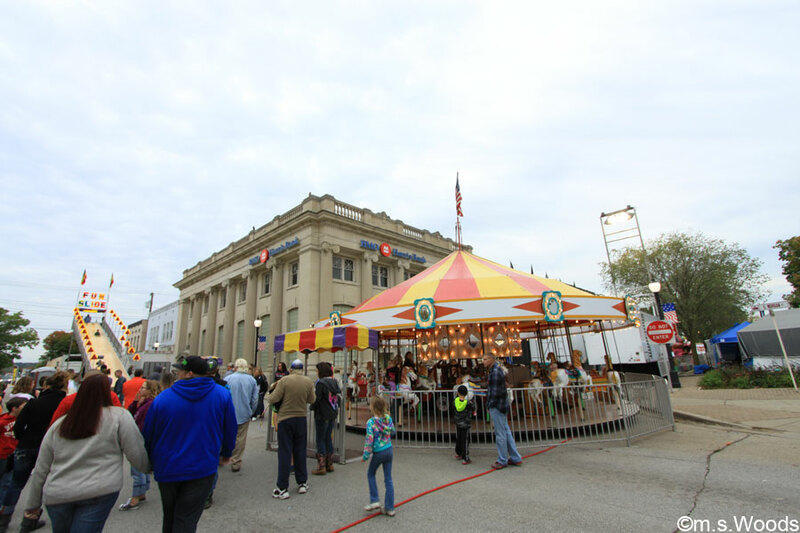 Other festival activities include live entertainment, and one of the longest parades in Indiana. 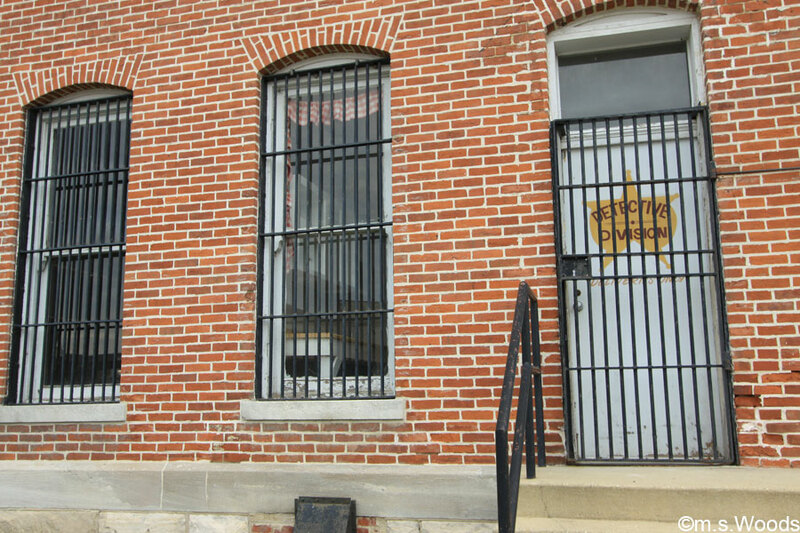 From the Grassyfork building to the many historic homes that surround the city’s ‘old town’ district, Martinsville is a city with an interesting history, one which has survived in one form or another to this day. 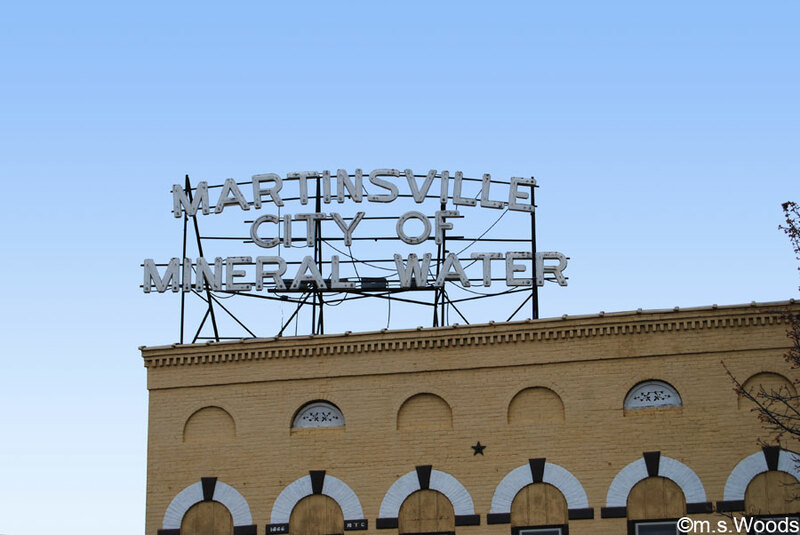 Driving through town, it’s hard to miss the famous “City of Mineral Water” sign that sits atop an old building downtown near the square. The sign alludes to the discovery of mineral water by Sylvanus Barnard as he was drilling for natural gas in the late 1800s. The discovery helped make Martinsville one of the leading health resort city’s in the nation. The city’s 11 “sanitariums” were incredibly popular, and built around Artesian mineral water springs, which were widely believed to possess healing properties. On the north side of Martinsvill sits a two-story brick building that was once a thriving fishery. It all started over a hundred years ago, when two brothers, Max and Eugene Shireman, inherited 50 acres of swampy farmland. Rather than let the land go to waste, the imaginative brothers transformed the land into a fishery. At its height of production, Grassyfork produced 75% of the goldfish in the United States, and was the largest goldfish hatchery in the world. 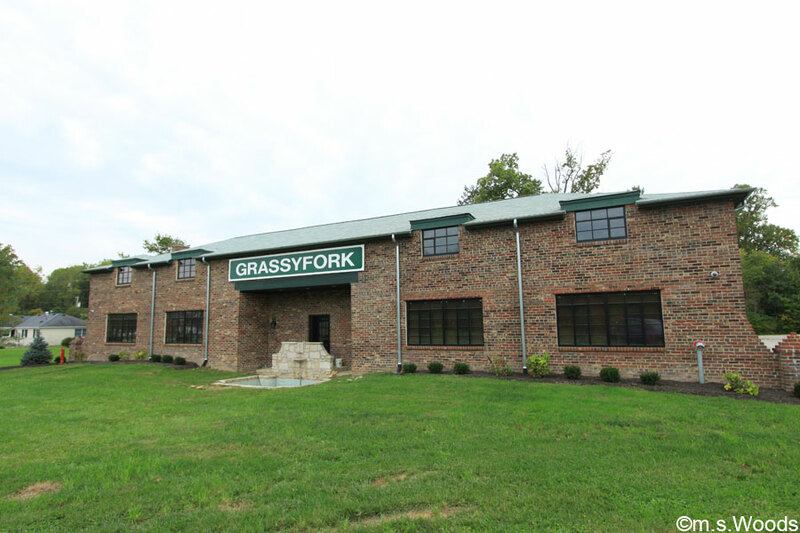 The Morgan County Historic Preservation Society purchased the Grassyfork building and surrounding two acres in 2009, and it got it listed on the National Register of Historic Places. The Morgan County Courthouse occupies this historic building. 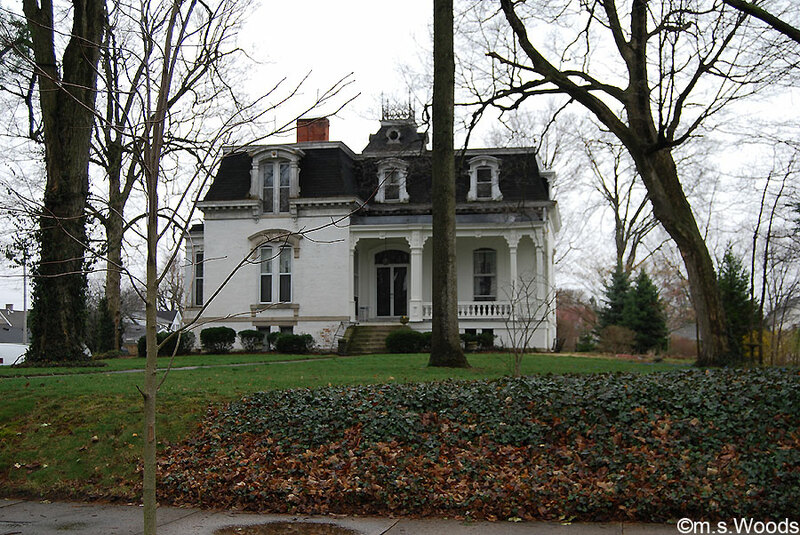 This beautiful home sits along Washington Street in downtown Martinsville. It is an example of the Mansardic style of architecture that was popular in the 1870s. This homes pictured above reflect the great variety of architectural styles that can be found, often one after another, along the very same street. 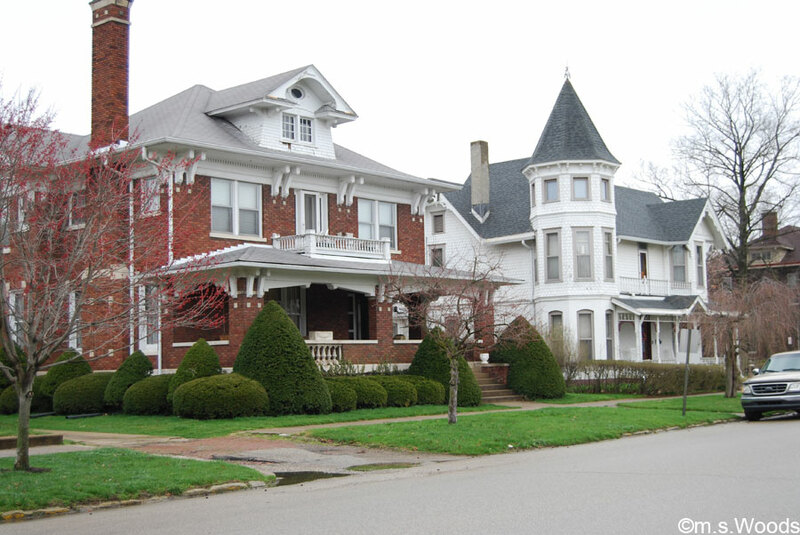 The home on the left is similar to the large houses that once served as living quarters for high-ranking officers on Fort Benjamin Harrison in Indianapolis. 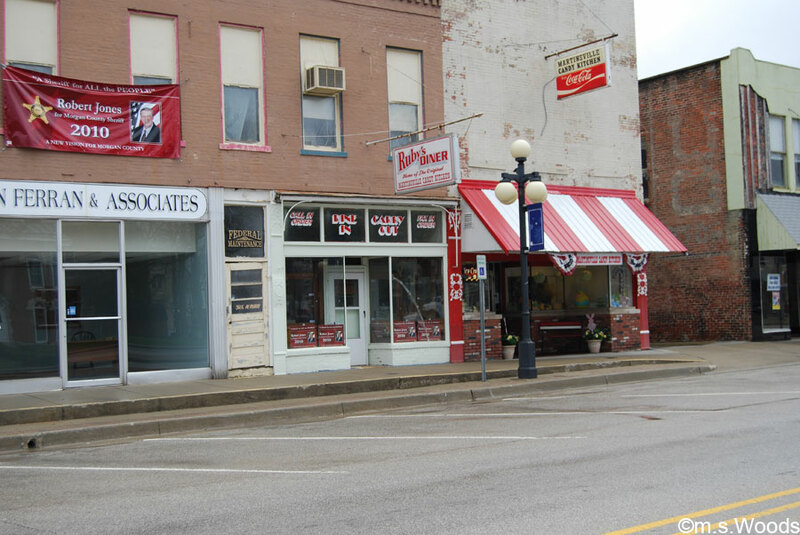 The commercial buildings that line the streets of downtown Martinsville harken to a much earlier time in the city’s past; a time before large, national chains came to dominate the landscape of America. The Martinsville Vandalia Depot was built in 1911. It served was a train depot for many years. It is located at 210 North Marion Street, along the old PRR railbed. 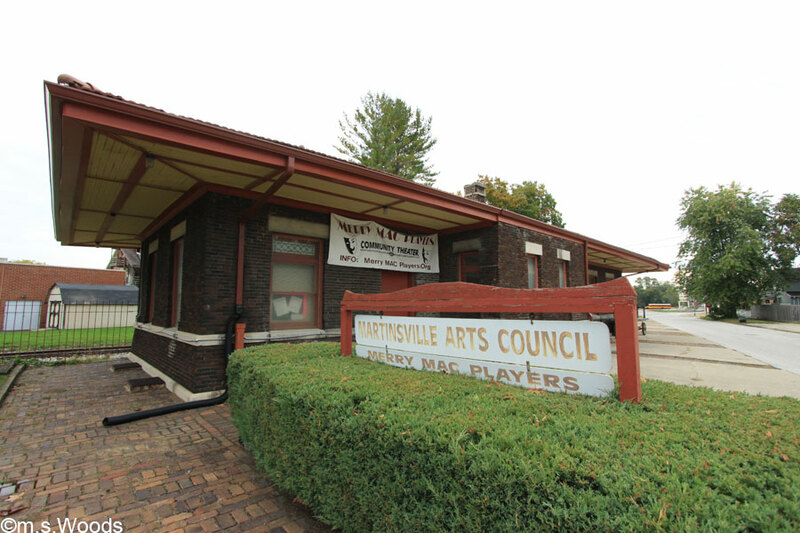 The building, which was placed on the National Register of Historic Places in 1992, is currently used by the Martinsville Arts Council. 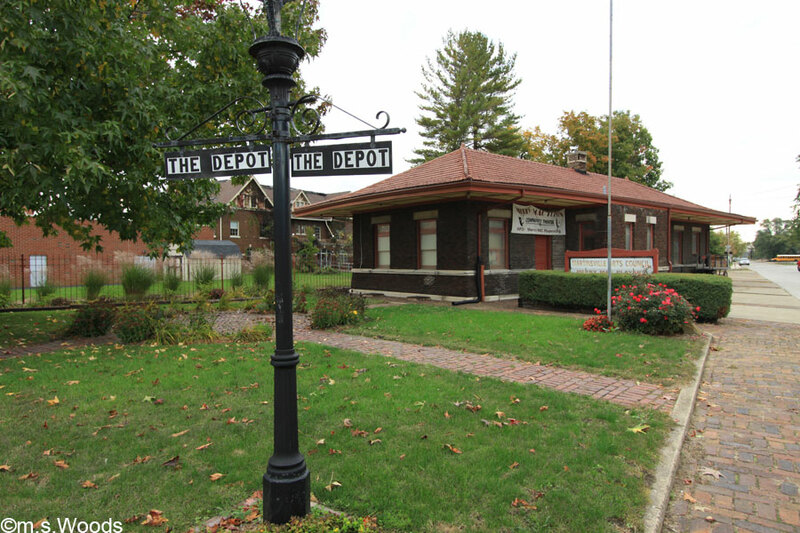 The depot is also known as the Indianapolis and Vincennes Railroad Depot. The depot, which reflects the Craftsman style of architecture that was popular in the early 20th century, was designed by James Prather and built by Duncan Charles. 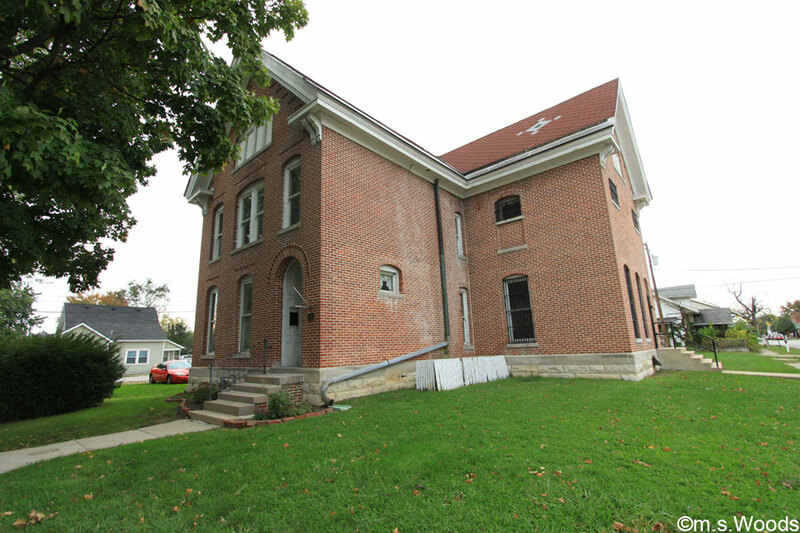 This historic building sits just a block away from the Morgan County Circuit Court. 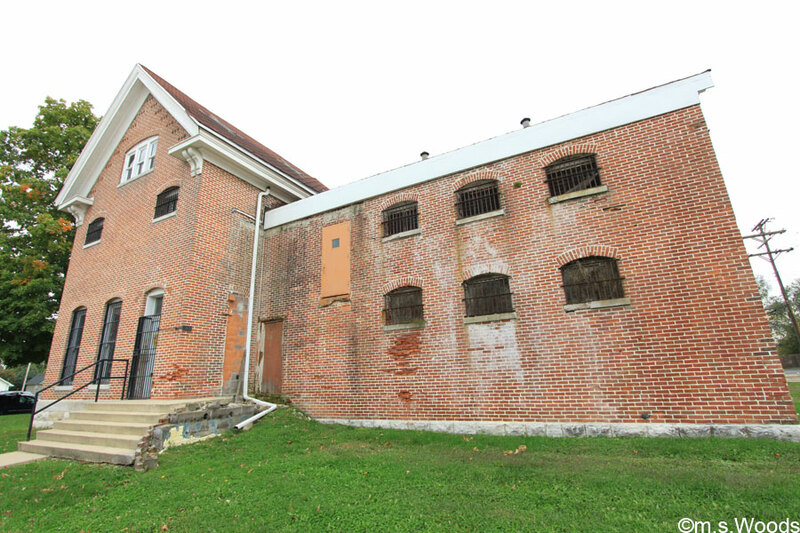 Known simply as the “Old Morgan County Jail,” it was designed by T.J. Turner, and served as a jail for over a century. The building was eventually purchased by the Morgan County Historic Preservation Society and renovated. Architecturally speaking, it incorporates elements of the Italianate architectural style, which rose to popularity in the United States in the 1840s, and served as alternative to the Gothic and Greek Revival styles. The building was listing on the National Register of Historic Places in 1996. It is open to the public and is a popular destination for photo ops. You can even get brunch inside every Sunday. 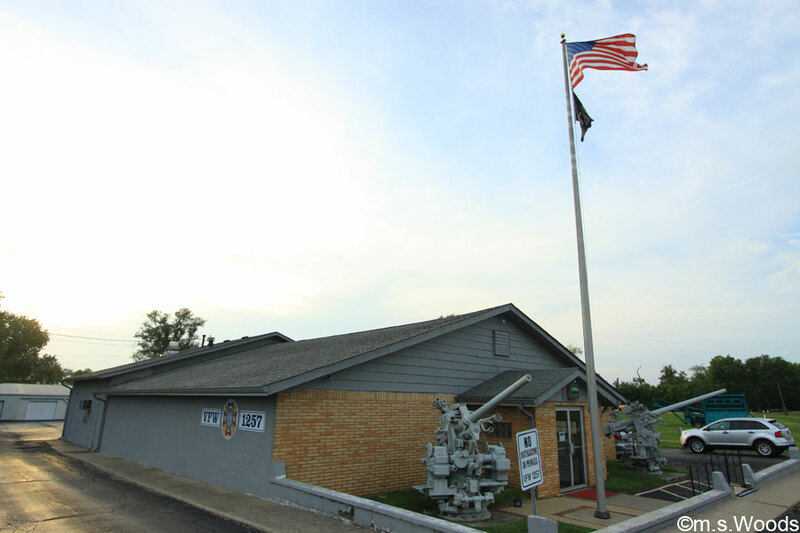 The “VFW” building is one of several posts for the Veterans of Foreign Wars, which can be found across the United States. The building features two WWII-era naval anti-aircraft guns, which are on display outside the front of the building. The VFP 1257 is located at 1000 Josephine Street in Martinsville. 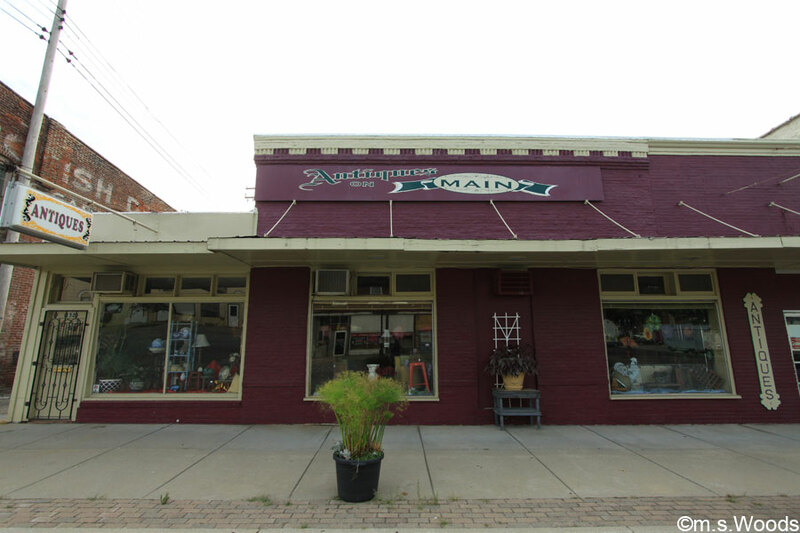 Located at 110 N Main Street in Martinsville is a quaint little antique mall called Antiques on Main. The building in which it resides is an historic gem, with its early 20th century architectural style. This antique mall carries all sorts of treasures, such as depression glass, jewelry and vintage textiles. 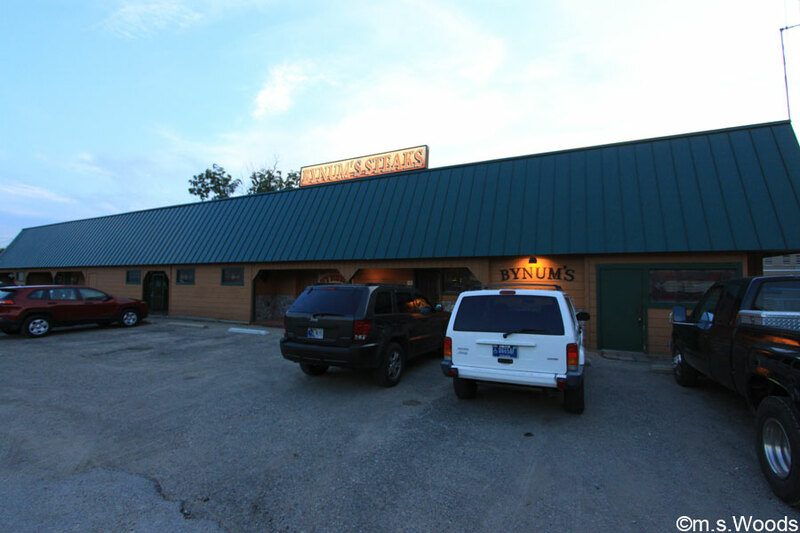 Bynums Steakhouse is located at 25 Sunnyside Drive in Martinsville. This old school steak house is the kind of place that virtually every Martinsville local knows about, but is nevertheless easy to miss if you’re an out-of-towner. Word has it they serve a killer filet Mignon and New York Strip. 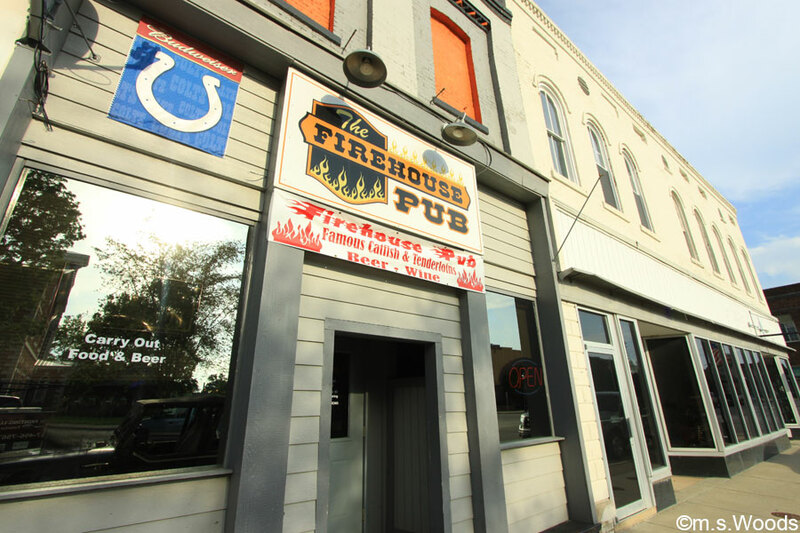 Located at 21 N Jefferson Street in Martinsville, Firehouse Pub offers a nice place to sit down, and enjoy a meal with a glass of wine or mug of beer. This is a nice little pub with good food and a good crowd. 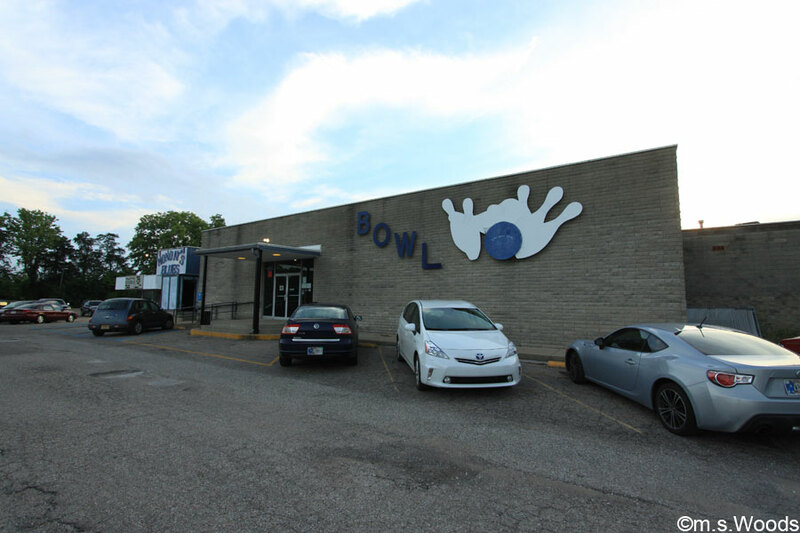 Martinsville Artesian Bowl is located at 1910 Morton Avenue. This smoke-free bowling alley offers several lanes of bowling, as well as two pool tables. 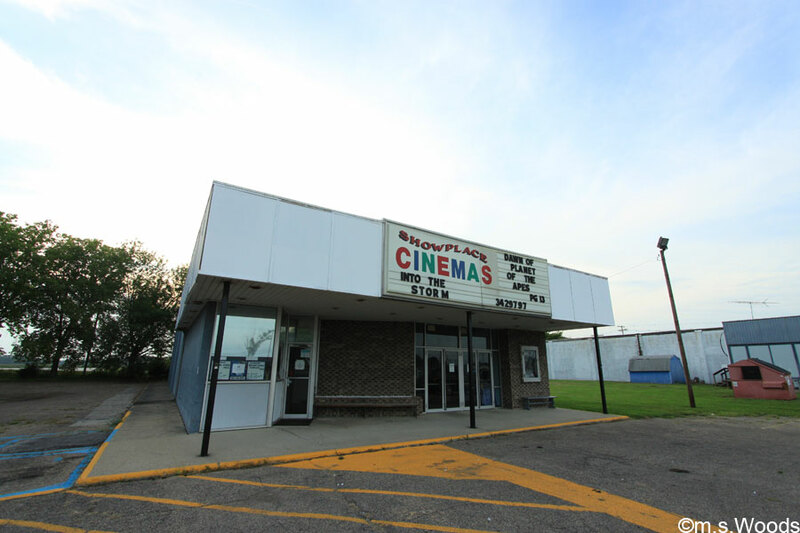 It is located adjacent to a small cinema. 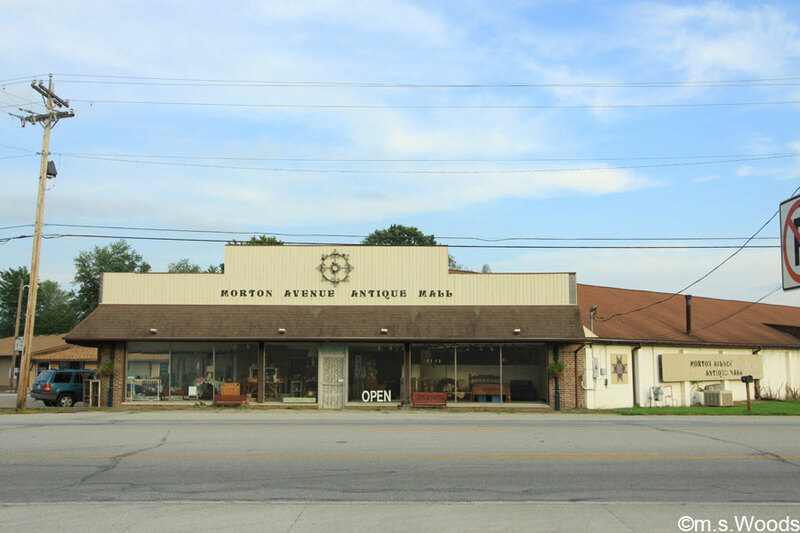 Located at 619 Morton Avenue, the Morton Avenue Antique Mall offers a variety of antiques, such as primitives, refurbished and recycled items, as well as hand-mades, collectibles, and vintage items. Showplace Cinemas is a small 2-screen movie theater located next to Martinsville Artesian Bowl, at 1910 Morton Avenue in Martinsville. This and That Flea Market is a nice place to shop for deals on a large variety of items, such as crafts, furniture, computers, clothing, toys, auto accessories, collectibles, and even a lot of old stuff you might normally expect find in yard or garage sales. 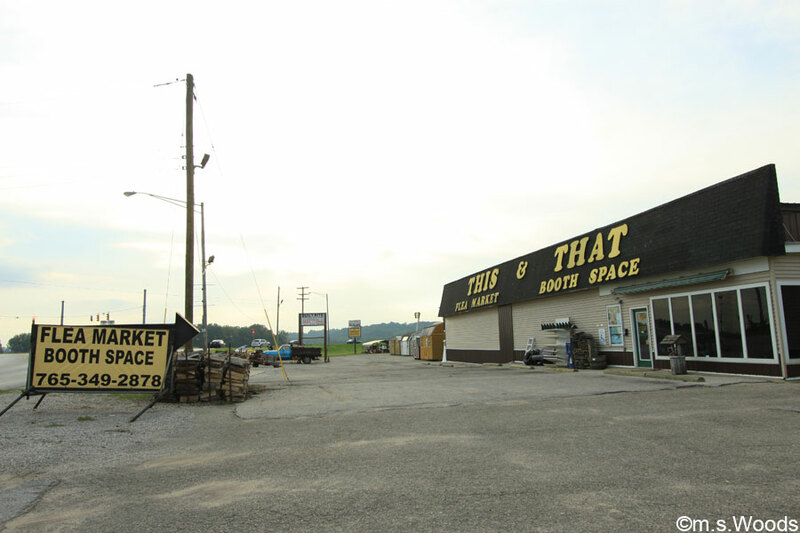 This and That Flea Market is located at 760 W. Morgan Street in Martinsville. 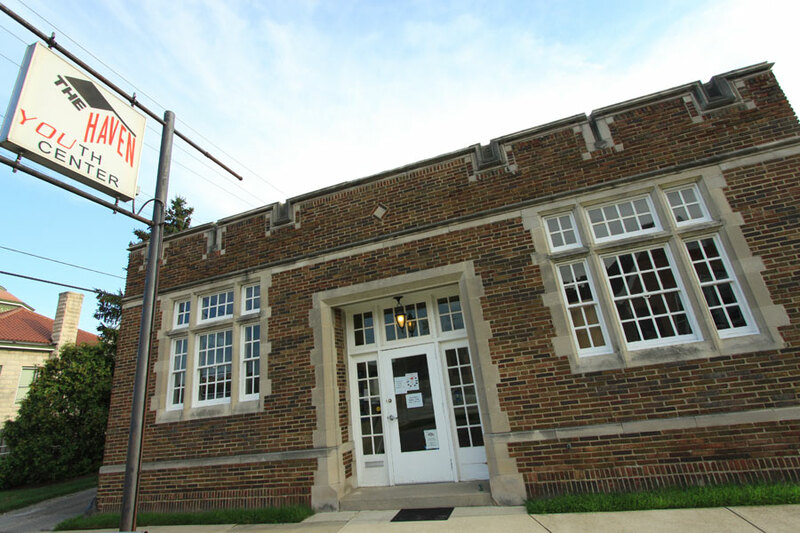 The Haven Youth Center is located at 39 E Jackson Street. Founded in 1998, the center provides a safe place for Martinsville kids and teens to hang out with friends, play games, eat, study, learn new things. 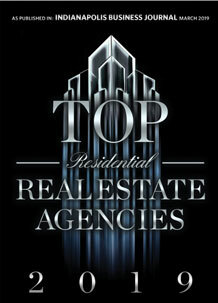 Here are a few examples of high-end properties currently for sale on the Martinsville real estate market. You can search and browse all Martinsville listings here.